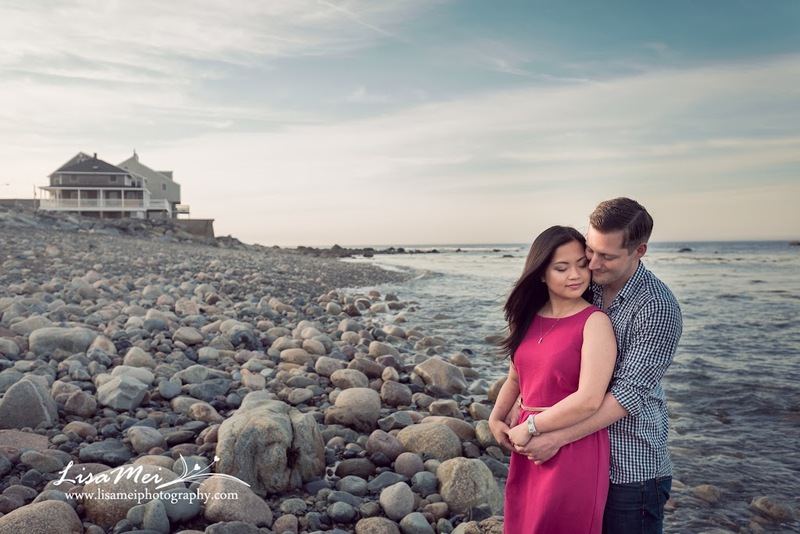 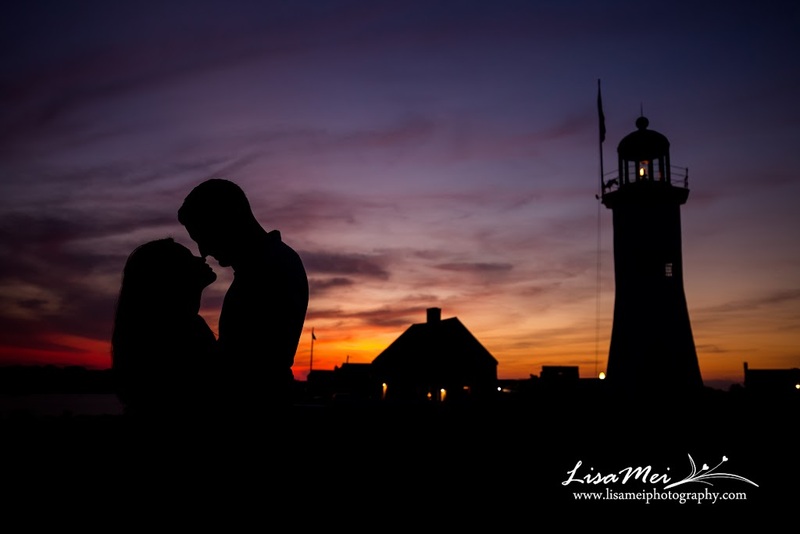 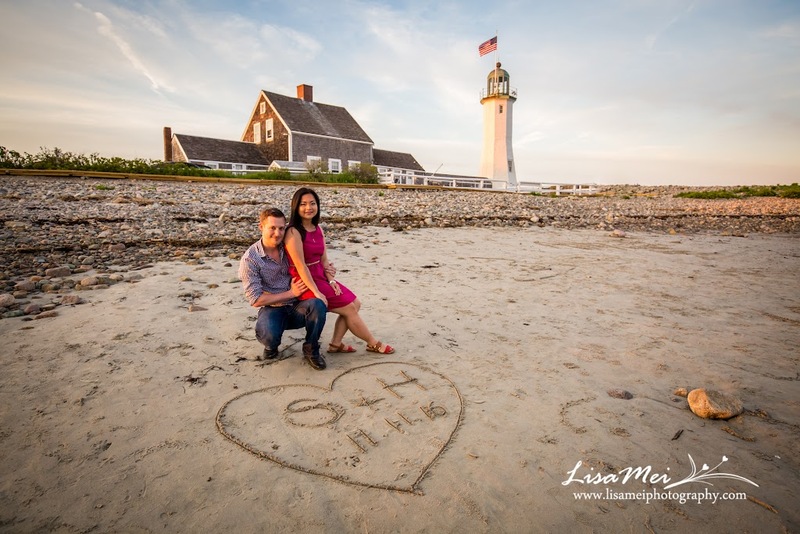 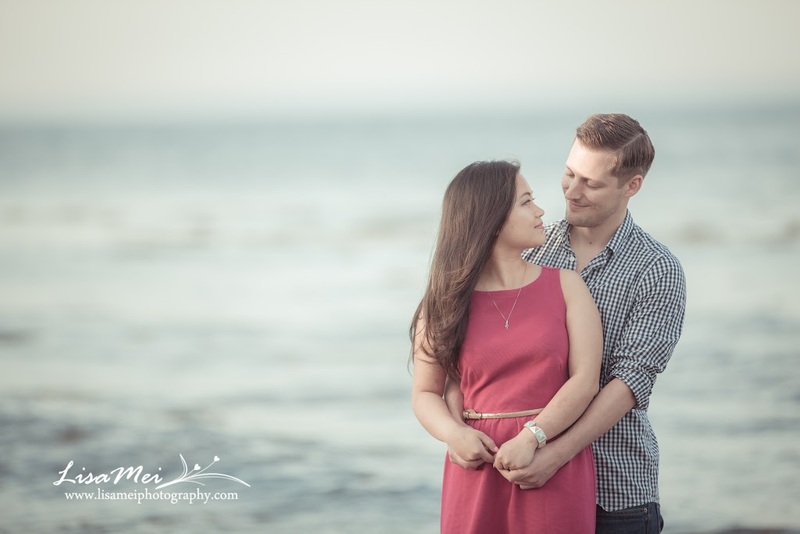 Thanks to Hanh and Steve for suggesting two new perfect photo locations for engagement session! 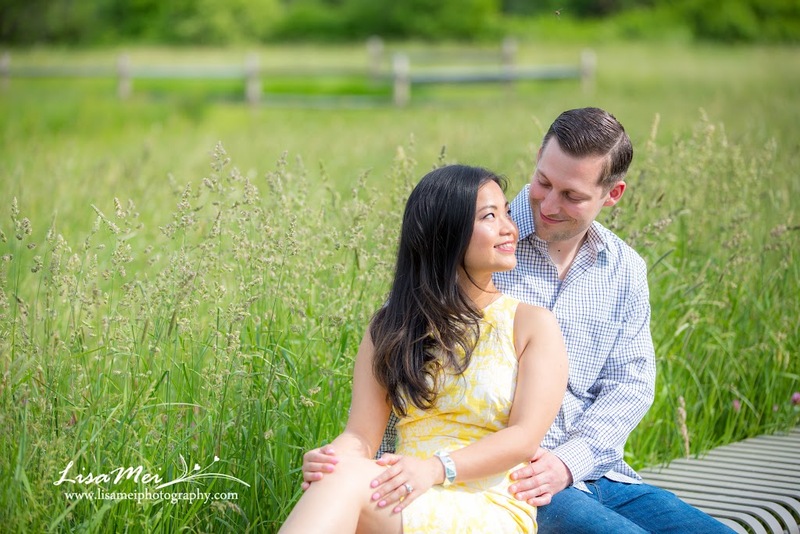 We met with Hanh and Steve at Powers Park, Randolph where it was nearby to their home. 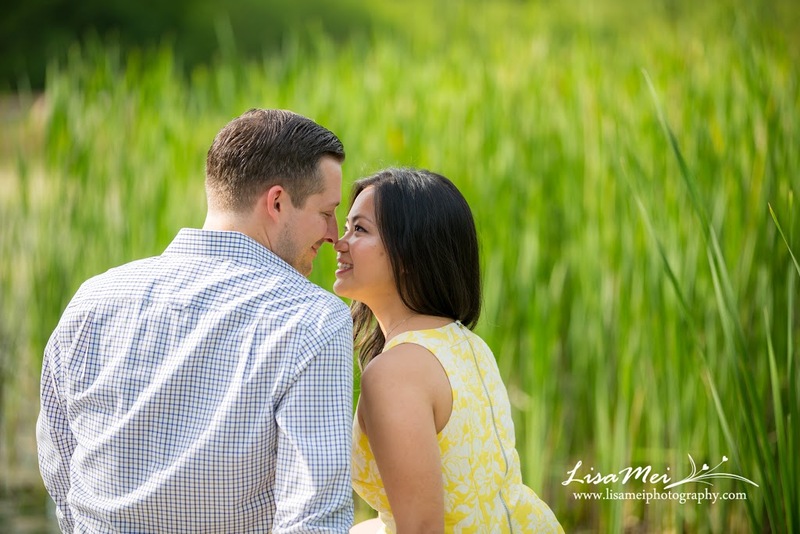 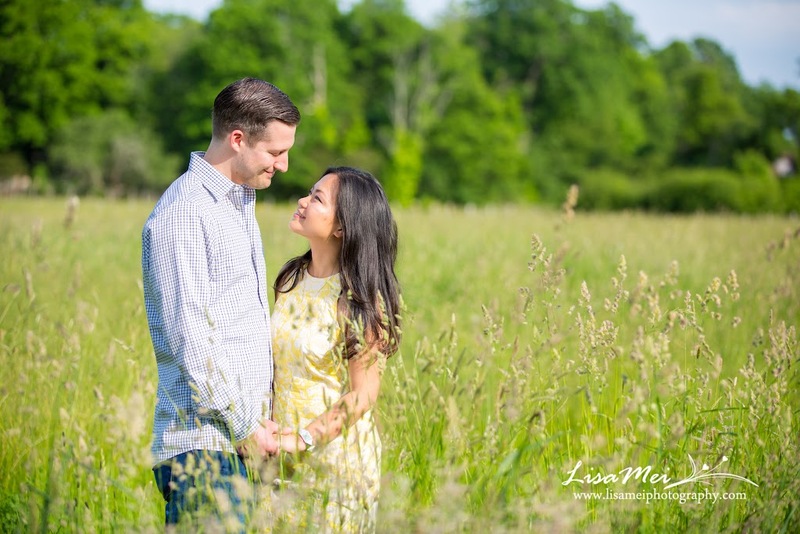 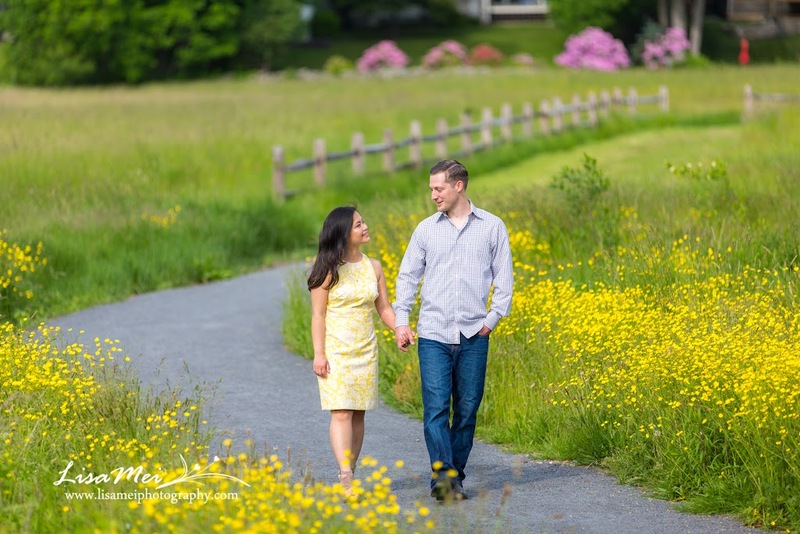 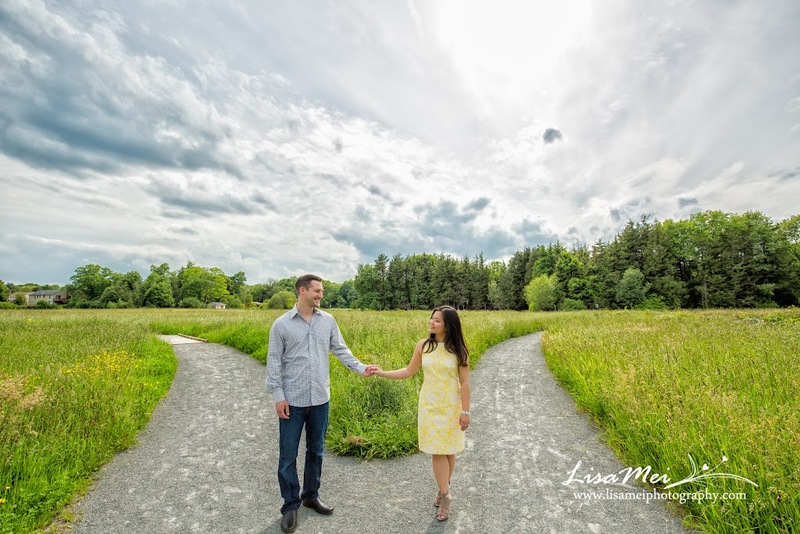 The little park provided many different beautiful backdrops for portraits….the tall green grass, blooming yellow flowers (matched perfectly with Hanh’s dress), a forest boardwalk area, and a deck. 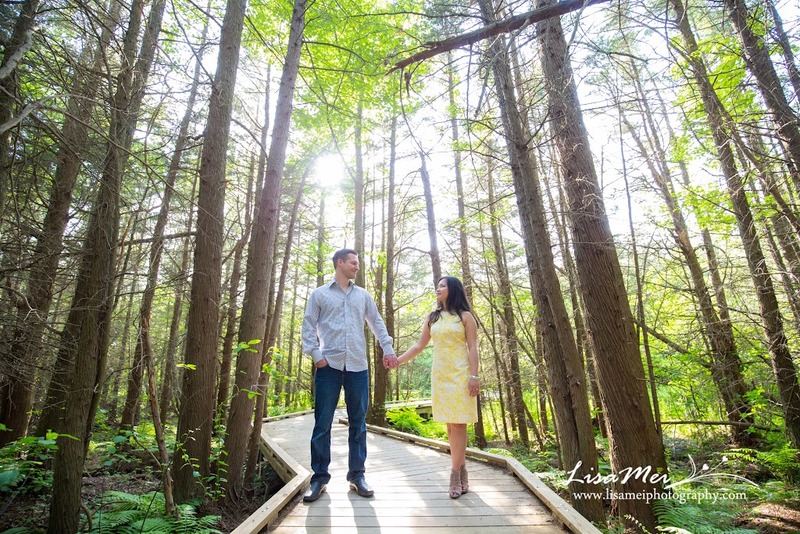 Weather was also co-operating too, not too hot with some breeze. 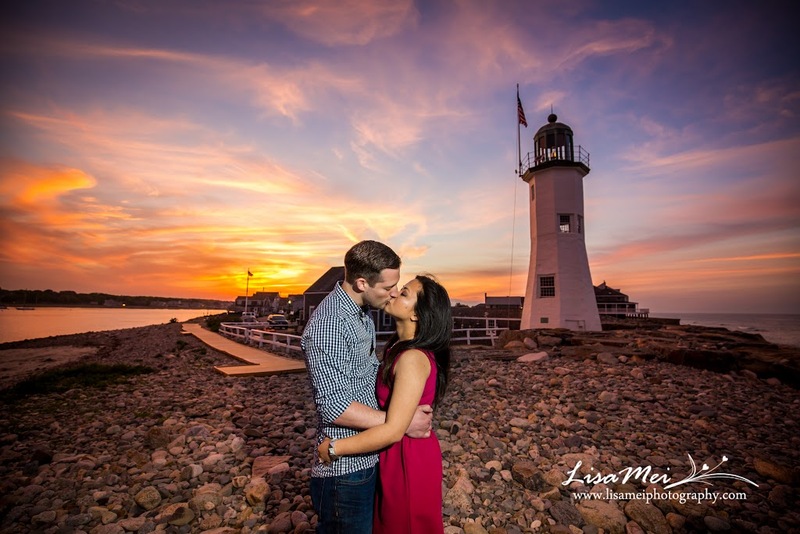 Afterwards, we drove to the lighthouse at Scituate, although an hour drive away, it was well worth it. 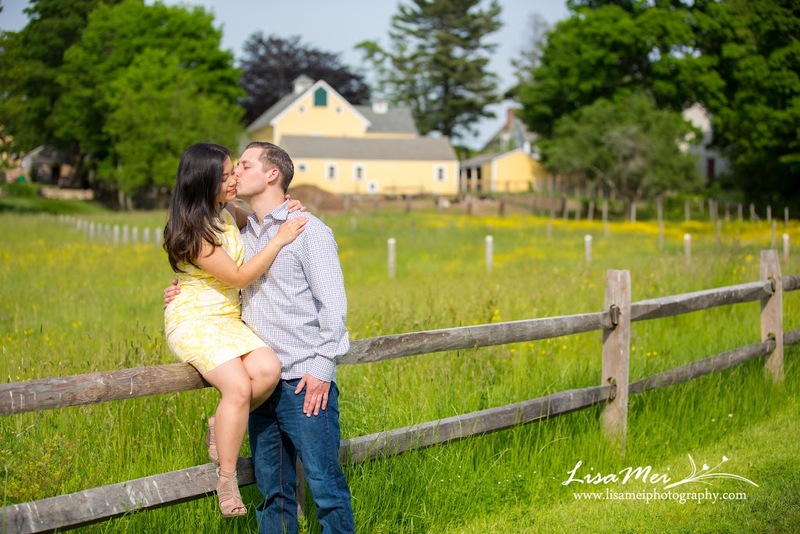 There were some crowds there so we had to wait for a few minutes for people to move out of the way but it wasn’t nearly as crowded like the Boston Public Gardens. 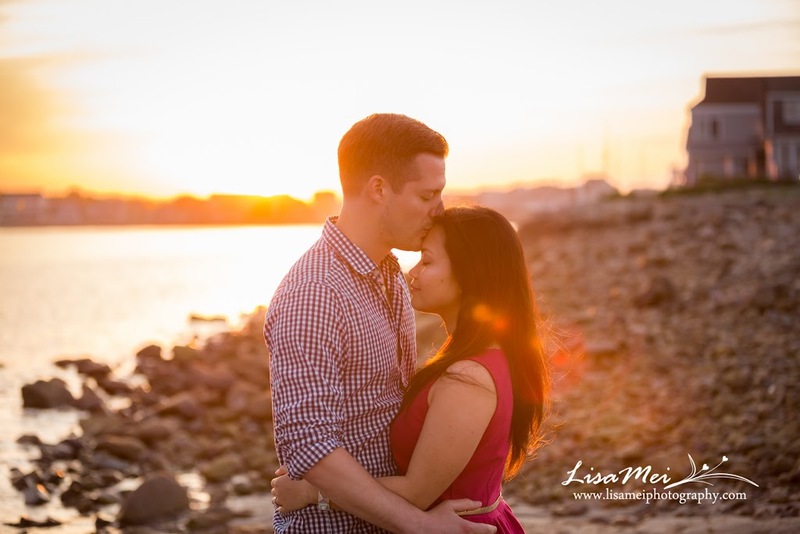 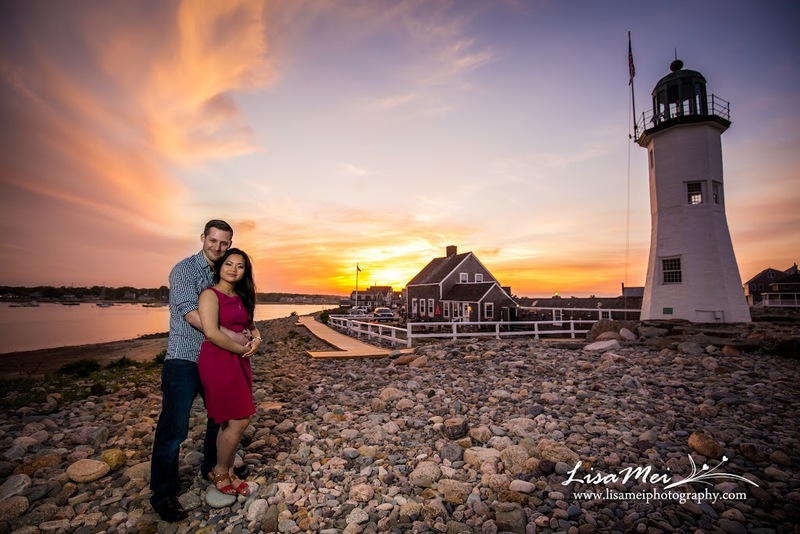 I asked Hanh and Steve, want to wait for the sun set and they said sure….we ended up having a colorful sunset!